Deviled eggs control me. Whenever I see them, I must eat them. All of them. I’ve been known to eat an entire dozen eggs’ worth at one sitting. And yes, I know full well that I will pay for it later. “Just one more,” I think, and before you know it, there are no more deviled eggs. Then I am sad. It really doesn’t matter how good the deviled eggs are, either — I’ll gorge myself even on crappy deviled eggs from a gas station. But put a well-made deviled egg in front of me and I am pretty much helpless, doomed to goldfish-like eating control issues and that awesome feeling of an entire dozen eggs marinating in your gut. These smoked salmon deviled eggs did that to me, although thank God for Holly, who was around to eat some before I polished them all off myself. 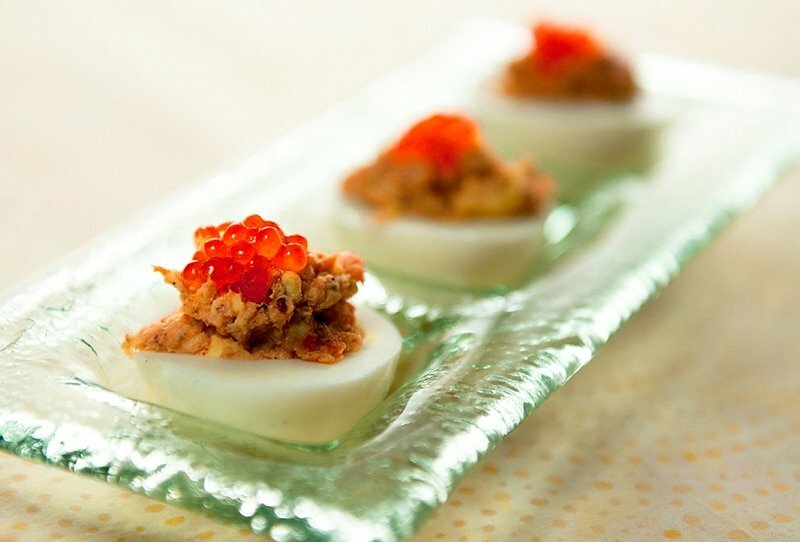 Even though it might seem like an odd combination, smoked salmon deviled eggs have been around a while. 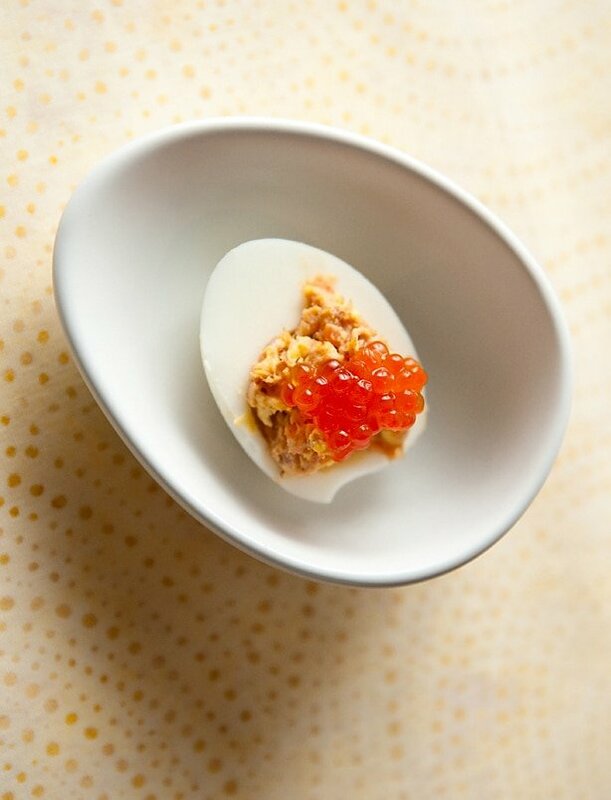 The flavor is almost a perfect mashup between smoked salmon and deviled egg. The eggs mute what can sometimes be a sharp smoked twang in the fish, but that smoke also livens up the egg. The color is beautiful and my addition of salmon caviar to the dish — I make my own, but you can buy in it lots of supermarkets — really elevates this. But it’s not strictly needed. So go ahead and make these eggs, but beware: You may find yourself eating them all. And you will pay for it. Slice the boiled eggs lengthwise and pop out the yolks. Mix the yolks with the mustard, mayo, smoked salmon, shallot, Tabasco and lemon juice and mash into a paste. Add salt and black pepper to taste. Spoon into the egg whites and dust with the paprika. 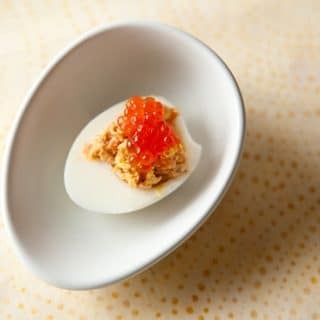 Garnish with salmon caviar.